More than 800 new laws came into effect in Virginia this year. While real estate and residential housing laws comprise only a small portion of all that legislation, the new legal options and obligations for landlords are substantial. Noteworthy bills passed this year clarify rights and responsibilities pertaining to issues such as evictions, rent with reservation, and smoke alarms. A former owner of a single-family residential dwelling unit who remains in the property after foreclosure is now defined as a tenant at sufferance. A successor owner has the right to file an unlawful detainer action three days after giving the tenant written termination notice. A tenant who occupies the property post-foreclosure is considered liable for both damages and rental payments, as well as attorney fees and court costs the plaintiff incurs. HB 856 seeks to speed up unlawful detainer cases by allowing a judge to issue a writ of possession as soon as the judgment is entered. 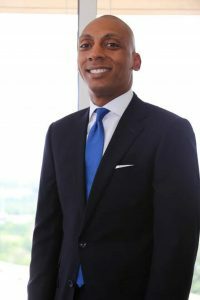 The law also requires the sheriff to provide the defendant with notice of the writ, including the date and time of eviction, at least three days before the writ is executed, and protects defendants from eviction during 10-day appeal periods. HB 1227 / SB 286 allows owners of transient property to pursue civil or criminal remedies even if they are able to use self-help eviction. HB 609 / SB 391 creates a new set of smoke alarm and carbon monoxide alarm requirements for landlords. 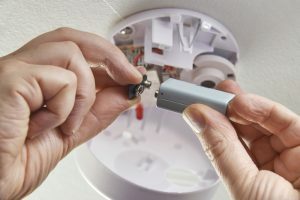 Virginia now requires landlords to install smoke alarms in all rental units and annually test and certify those alarms in line with the Statewide Fire Prevention Code and the Uniform Statewide Building Code. Landlords must make reasonable smoke alarm accommodations for residents who are deaf or hearing impaired. Carbon monoxide alarms are also required, but only when a tenant requests one. HB 855 / Senate Bill 197 makes it easier for landlords to receive full or partial rent payments while continuing to pursue legal action against tenants. Previously, in order to accept such payments (otherwise known as rent with reservation), a landlord was required to send two separate written notices to a tenant in the time between entry of an order of possession and eviction. Under the new law, a landlord need only send a single notice. HB 857 makes landlord and tenant provisions in the Virginia Residential Landlord and Tenant Act consistent in areas such as termination of non-residential tenancy, foreclosure notices, and prohibited rental agreement provisions. The bill also adds new language clarifying processes such as lease termination, lapsed renter’s insurance, failure to prepare units for insecticide and pesticide applications, and more. In the next few weeks, I will explore two of these topics in greater depth, offering further detail and analysis about Virginia’s new rent with reservation law and smoke alarm and carbon monoxide requirements.